Today PN Studios brings you Nerf Gun Game: BETA VERSION (Nerf Meets Call of Duty)! Nerf Gun Game is a first person shooter series based off Call of Duty. First person to 12 kills wins (120 Points). This video is a first beta version in Nerf Gun Game Series! We will try to make Nerf video every week! So subscribe now if you haven't already and never miss any of our uploads. DON'T FORGET TO SUBSCRIBE AND TURN ON YOUTUBE POST NOTIFICATIONS! ‍ PN Studios are always making Nerf Gun videos, such as Nerf Wars, Nerf First Person Shooters, and Nerf Zombies with acting, doing action Nerf, and going on crazy adventures. 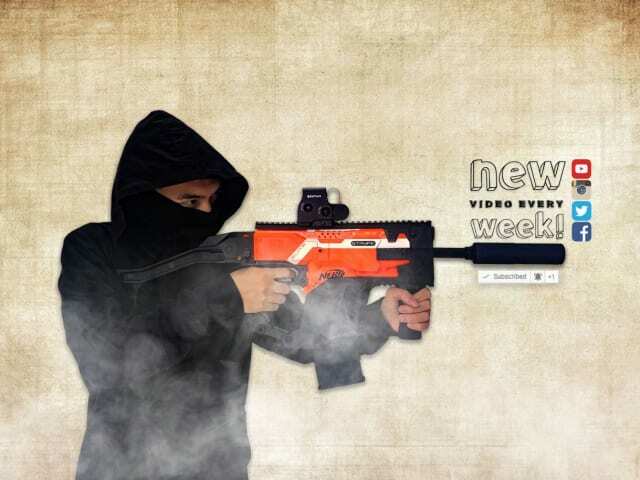 My Nerf videos are packed with visual effects, action, and tons of Nerf guns! If it's Nerf War, Nerf Battle, Nerf FPS, Nerf Zombies, and Nerf Squad, you'll find it here! 💬 I try to make films as often as I can, so comment your idea about next videos. 🔴 Have you subscribed and notified yet? Yes, I Subscribed & Notified! Not yet? but doing now!